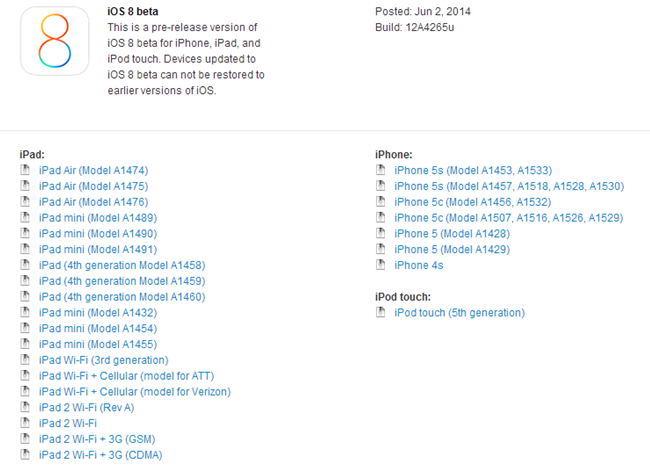 After a long time coming, the beta 1 for iOS 8 download links are live on Apple’s Dev Center. iOS 8 was unveiled in front of the world at the WWDC 2014 opening keynote earlier. iOS 8 is a very big update for both developers and users, with several new features such as predictive keyboard, HealthKit, HomeKit APIs, quick reply, Camera Touch ID API and much more. Feel free to check out all the features in the announcement at the event. Here are some of the main ones. Messaging – Apple says that the default messaging app is used more than any other native app on iOS. It has been improved in iOS 8, and now you can reply to a message notification by swiping down when it pops up. So you no longer need to open up the messages app to reply. Siri – Siri has received an always-on mode. Now she awakes with the simple keyword ‘hey, Siri’. Now there is no need to press the home button to get her to take action. It’s like ‘Okay, Google’ in Android. Health – This was evident. The Health app will display everything a user needs to know such as heart rate etc. It also tells that the iWatch is on the horizon for a later release this year. Widgets – This is something people have been asking about for a long time. Widgets in iOS 8 now have the ability to appear inside the notification center, and a third-party app can also install widgets on your device. You can directly download iOS 8 beta 1 from Apple’s iOS Dev Center – Link: developer.apple.com/ios. Or use our direct iOS 8 download links that can be found here. 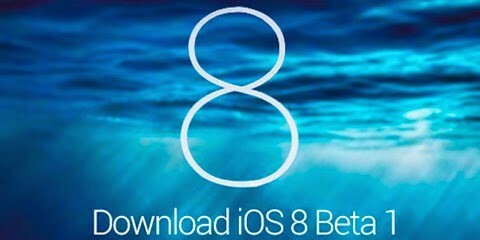 Once downloaded, go to the home page where we will be showing you how to install iOS 8 beta 1 without a developer’s account. And if you have any questions, feel free to ask them in the comments section below.